I gave up, but the hunt was not over. A week later I had purchased an old record player, via a newspaper ad, at a rock-bottom price. Some years later, thanks to the escalation of the DJ culture that really took off in Estonia during the 1990s, I sold that player, earning more than triple what I’d originally paid for it. I’ve never gone back to that big electronics store, mind you. Those dudes clearly didn’t know which way the wind was blowing. They were all about the status quo, i.e. they were lazy and they were superficial. And that isn’t kosher, as any of the representatives of any sub or nerd culture will tell you. Still, this story needs some background. The beginning of the nineties was all about cassette tapes in Estonia. Music lovers recorded songs off the radio and scribbled down information on songs and performers onto cassette cases by hand. Also, pirate cassettes, mainly of Polish origin, were sold at semi-legal markets (that have now become totally legal supermarkets) and even newsstands, alongside cigarettes and bus tickets. Official import CDs were sold at music stores, true, but kept under lock and key, as if they were jewellery and, considering what these “luxury” products cost in Estonia back then, it’s no wonder. The digital MP3 format, which turned the global music industry upside down at the end of the decade, still belonged to the realms of science-fiction back then, simply because you could only dream about a permanent internet connection and a home computer in the early 1990s in Estonia. I tell you, I’m not an old man yet, but it was a very different world and a very different Estonia back then (so excuse me if I sound like I’m sixty-four when I’m only thirty-six). The point is that no-one knows how the future is going to unravel. Every time I hear someone predict the future is “going to be completely digital”, I feel that these people – without question very smart people – are more likely describing the present. The present is digital. I can concur with that. However, as someone who remembers a time without smartphones and Android tablets, Windows, Gmail, Facebook, Wikipedia or various iGadgets, I can honestly say that human life on planet Earth will not cease to exist if some global businesses decide, for whatever unexpected or freakish reason, to turn to real-estate or banking instead of information technology. Once you’ve earned your first million, your next business adventure simply needs to be more profitable: that’s how capitalism works. The gamers inside the anthroposphere are simply too good at the adaption game; we all know that in our guts. You don’t need a weatherman to know which way the wind blows: that’s the truth. The weatherman can only predict, or state the status quo: the status quo of “the future”. Yet the truth is that we don’t know what will really happen. Especially when it comes to those tiny little things – books, records, art etc. – that really don’t seem to matter in the general adaption game but that still mould us into who we really are. As most of my readers have already guessed, I chose vinyl – or the story of “the rise and fall and rise again” of vinyl – to illustrate my point for a reason. As the current Editor-in-Chief of the art quarterly KUNST.EE, which is all about contemporary art in Estonia in printed form, I believe that art journals and magazines all around the world are currently experiencing a somewhat analogous, and indeed painful transmission phase, where all seems to be lost to digital platforms. Indeed digital platforms: web pages, blogs and Facebook walls are free for the reader, and for the sake of the argument, let’s ignore hidden advertisements here, O.K? Whereas, you still have to “physically” buy a professionally edited art magazine/journal from a newsstand or get a subscription in order to read it. Why should you? Similarly, there’s no point in buying a record either: nowadays you could simply download the music. Yet people do buy them, for whatever freakish reason, and records haven’t got lost in the dustbin of history, as many have predicted. It could be that it all comes down to the tangible presence of the body and the physical world and also the basic need “to historicize” ourselves. The clutter around us always reminds us of the life we’ve lived and the time we’ve spent here on Earth. Keep the important stuff; chuck the rest. That’s what they keep telling us. But we do love ourselves, don’t we? We don’t like the idea of a life gone wrong, especially if it’s ours. Eventually, everyone grows tired of a completely empty room: there’s a difference between a cosy apartment and a vampire’s coffin, right? I’ve often joked that printing and distributing an art journal/magazine in the current digital age is a lot like selling records. 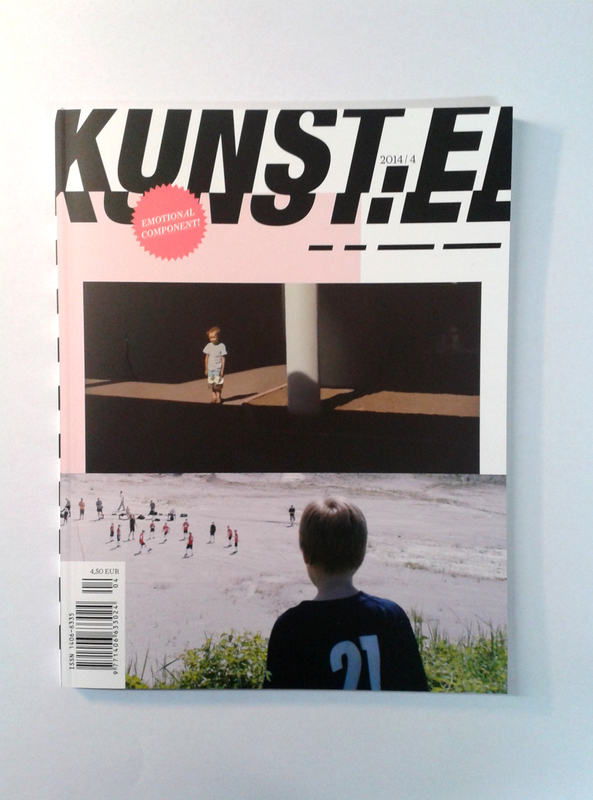 In fact, we actively sell each new issue of KUNST.EE for a limited period, and eventually all the print files become available on our web archive for free downloading. So, yeah, it’s basically free. You can easily Google us to make sure. You can buy or pre-subscribe to “the vinyl version”, but you can also wait for six months or so and get it for free. Your call. However, getting your hands on a fresh copy right after it’s published is way cooler: it smells like…”napalm in the morning, it smells like victory!” All the bibliophiles and melomaniacs will understand my black humour here, no doubt. True, most of the record stores that ruled the world in the 1970s and 1980s have gone bankrupt. Likewise, most print runs of art journals and magazines have faced catastrophic declines in recent years, and some of them have closed down completely. Yet the biggest brands are still out there, right? What does that tell us? The rise and fall of the Gutenberg galactic and the new digital age, blah-blah-blah…? Well, I think it says that the basic rules of the game haven’t changed at all. I might be wrong but as far as I can see it’s still a very big thing to an artist to be reviewed in a renowned art journal/magazine. If it’s also online, as a sharable link, all the better, but that’s just a bonus. No doubt, subscribers and readers also trust the brand better if a considerable amount of money has been spent on printing each new issue. We’re all smart here, and can all do the math. And yes, you can actually read KUNST.EE from cover to cover (as a curated entity, if you like); each issue contains editorials, essays, reviews and news; and it’s also professionally edited (i.e. before it’s out there, people get paid to read it and point out the mistakes). Professionally edited: does that ring any bells? I hope it does. There’s a difference between a published opinion and a professional opinion, mind you, even in the digital age. And, needless to add, there’s the context. No Twitter “tweets” or blog entries can get the same job done: I can tell you that. However, I won’t fool you: you won’t get the ”full picture” on Estonian art, but then again who does? You’ll get a general collectively analysed overview of what has been going on here delivered by critical minds keen on establishing the truth, and nothing but the truth. And if you don’t care about the Estonian art world generally and you won’t acknowledge the presence of KUNST.EE in the field, well good luck with that because the predecessor of KUNST.EE was the almanac Kunst, established in the 1950s, and our current quarterly format simply continues this tradition by providing “the whole picture” as best we can. And as life experience shows, our art experts’ opinions still matter, at least in the long run. However, the bitter truth of it is you can’t really make good money out of publishing art criticism in Estonia, but at least you can get by, and that’s the most important thing. It’s not that people don’t care generally about contemporary art in Estonia; it’s just that there are so few of us. The numbers, it all comes down to the numbers. The average number of subscribers that KUNST.EE gets nowadays is about two or three hundred (plus the few subscribers abroad, mostly interested nearby art institutions), plus what we manage to sell in local newsstands. However, in a country of about one million plus, that’s not bad for a strictly “targeted product”. This is also way more than in the nineties and the noughties, when the previous almanac Kunst made its way to the quarterly format, clearly shown by the “.ee” suffix (i.e Estonia). Yes, our print run during the Soviet years was slightly bigger (approximately 2,000 copies then compared to 1,000 copies now). Yet, back then we didn’t have the freedom of the Internet: no-one really knows how many people have actually read the previous issues of the almanac and the quarterly (or did they just download them for the sake of one article?). Plus, nothing compensates for the feeling of actually stacking all of them on your bookshelf, ready to be browsed and browsed again, when you please: similar to having a proper record collection, don’t you think? If the art journal’s brand is strong enough in the digital age, the general readership can only grow. Nowadays, by pre-ordering KUNST.EE, you can count on approximately an astonishing four hundred pages of art criticism and illustrations per year both in Estonian and in English. That’s quite a lot of “art talk”, both high-brow and low-brow, at least in a small country like Estonia. Needless to say, this publishing ideology goes a long way back: “Being reviewed in a daily Estonian newspaper is nice, but once you get reviewed in KUNST.EE, you get a ticket into Estonian art history”, as one famous Estonian artist once told me. I am not sure whether this famous artist was being serious (probably not), but as a trained art historian, I understand completely what was meant by that (I’ve done my time sitting in libraries, mind you). Needless to say, this places a burden on my shoulders, of which I am fully aware, because it’s the truth; nevertheless, it’s also “a dream of Napoleon” that I am not fully capable of accepting, no matter how much I get paid (insert smiley face). How to end this piece? Well, I still collect records. And I still collect art magazines and journals and art books, and pile them on my bookcase. And this bookcase is huge, it’s long and wide, and it’s a moving company’s nightmare. Hey, I guess I’m still the chubby four-eyed nerd that I used to be in my preteens and this is my way to compensate. Nothing’s changed, really. And I know there are more people like me out there, both in Estonia and elsewhere. Who like to read art criticism, if it’s professionally edited, structured, and formed in specific sentences. Who feel that reading and subscribing to an art magazine/journal is a cool thing to do. Who adore the sight of a bookcase filled with printed matter. Feels a bit privileged in the digital age, right? That’s how it’s supposed to feel. Art magazines and journals aren’t going anywhere anytime soon. We’re simply too accustomed to them. 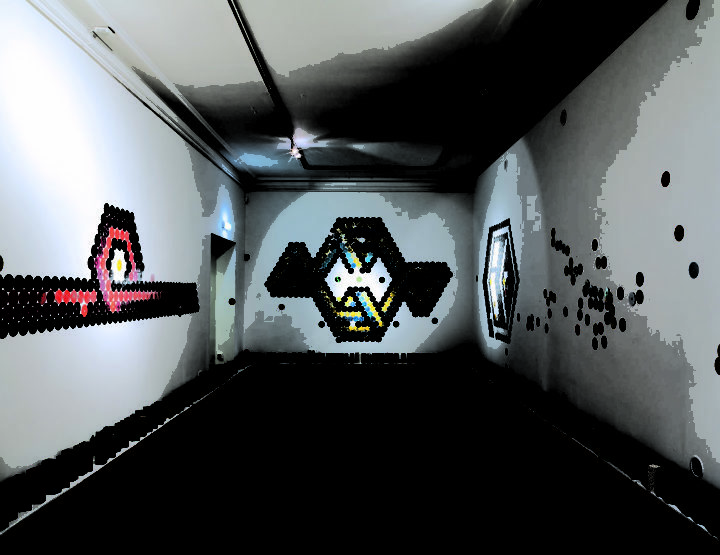 We want someone telling us how it is in the art world, because someone has to. I think art critics are still an integral part of the system, and without them the system we call the art world would simply collapse. And if you disagree, well, see you at some art fair where rich people gather to talk about…anywhere the wind blows. Andreas Trossek (b. 1980) is an art historian and critic; since 2009 he has worked as the Editor-in-Chief of KUNST.EE, a quarterly published magazine on contemporary art in Estonia.